Distinguished French psychologist Pierre Delenne, declared the other day his belief that much acting in the emotional dramas of the films may easily unfit men and women for meeting successfully the problems of reality which they have to face in every-day life. According to his theory, they can become so accustomed to the romantic, rose-colored glamour which the movies throw about everything that when they come into the harsh glare of actuality they are likely to be hopelessly blinded or to see things in such a distorted way that they make the saddest kind of mistakes. The movies are capable of more harm in this respect than the speaking stage, he thinks. While on the speaking stage an actor may play the same part for a year or longer, in the movies he crowds into the same space of time a great many different roles. Working at this continual high pressure in the world of make-believe, the movie actor may easily become obsessed, Professor Delenne thinks with the idea that everything must have a happy ending, particularly where love is concerned. That the swift triumph of true love over all sorts of obstacles is inevitable is the very breath of life of most of the great film successes. The scenario writers, directors, and continuity men hammer away at this false notion so persistently and elaborate it in so many ingenious ways that it is no wonder the actor should often get to taking it for the solemn truth. The awakening from his blissful dream that love is a n irresistible force comes when he runs against the stern realities of civilization’s laws and social conventions things which in the world where he has been living have been overcome with greatest ease. All this is extremely interesting to us here in America, where the movies had their birth and have reached their greatest development. Everybody will at once think that very possibly this theory maybe the true explanation of the extraordinary series of scandals in the motion picture world, which former Postmaster General Will Hays is now doing his best to bring to an end. Certainly it would seem that some such theory as Professor Delenne’s offers the only plausible excuse for the desperate changes which Rodolph Valentino, the famous heartbreaker o the films, has lately taken with his love. Unless he were obsessed with the idea that love must inevitably have its way and that there is bound to be a happy ending to every heart-burning romance, what could have possessed him to risk a prison term in order to possess the woman he loved, a few short weeks before the law said he should? 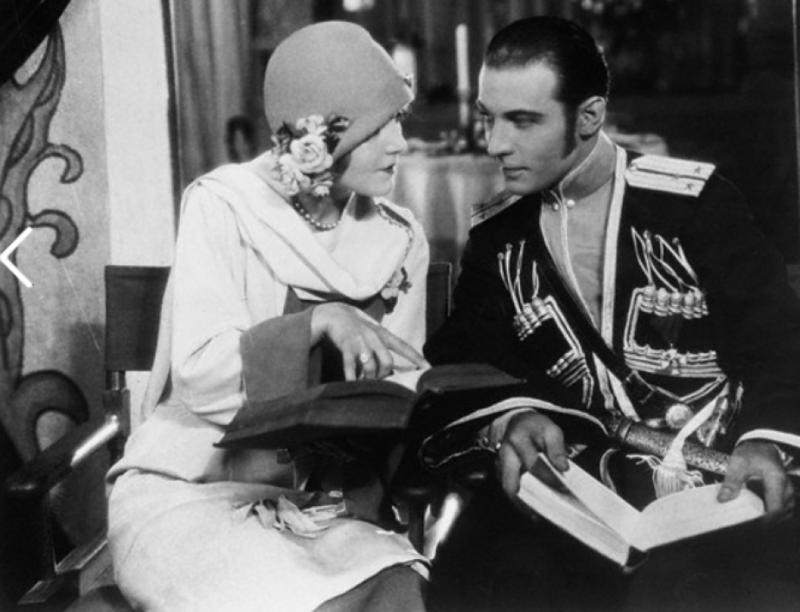 In the movies, Rudolph Valentino ran to Mexico with the beauty for whom he “just couldn’t wait any longer” would have been quite all right. Such trivialities as the laws of the State of California would have been cast lightly aside or else bent in a way that would have served the scenario writers purpose just as well. And the final close-up of Rodolph and his perfume heiress would have shown them clinging to one another, approved of by everybody and tasting the first of an ever-lasting bliss. But, as Rodolph Valentino and Miss Hudnut have learned to their sorrow, the laws on the subject of bigamy are not the negligible things the scenario writers and movie directors would have us believe. What they planned to be the most fascinating of romantic dramas gives promise of winding up in a dismal tragedy just the sort of an unhappy last reel which no popular motion picture would tolerate for a minute. Instead of possessing the bride for whom he yearned with all the fire that has made him one of the most famous of screen lovers Rodolph Valentino is separated from her by width of a continent. In her home in the East she hides, distracted by anxiety over her lover’s predicament and by the pitiless publicity that has been thrust upon her. Out in California, alone and broken hearted, he impatiently awaits trial on a charge that may land him inside the gray walls of a state prison. “But even the fear of a prison term could not dim the flame of love that blazed so hotly in their hearts. Captions like this are of frequent occurrence in the films. Evidently Rodolph Valentino thought the sentiment they express founded on a truth which could be turned to the advantage of his love hungry heart. But now he and his perfume heiress know that only in the make-believe world of the films is love able to defy the law in such high-handed fashion. Bigamy is not so lightly regarded in real life, and for those suspected of it there are troublesome sheriffs and prosecuting attorneys, stern judges, and juries to be reckoned with. According to Professor’s Delenne’s theory many movie actors are in a condition quite similar to that of an unfortunate shimmy dancer who cannot keep from shimmying. They have loved so often and with such made impetuosity on the screen, and all their dreams have so invariably come true, that they have become carried away with the idea that such things are as easily possible in real life. So it was, it seems, with Rodolph Valentino. In the “Four Horsemen of the Apocalypse” “The Sheik” and countless other film successes he was always the all-conquering lover. He loved with an intensity that acknowledge no obstacles, brooked no delay. And just like this should it known in the California film world as Natacha Rambova. He had only recently received an interlocutory decree of divorce from Miss Jean Acker, the screen actress, and until the final decree was granted he had no legal right to marry again. But Valentino, with all the impetuosity that has made him famous as a screen lover fled across the Mexican border with his sweetheart and they were married. The close-up that followed was a grim contrast to the happy endings which are the delight of the movie goers.